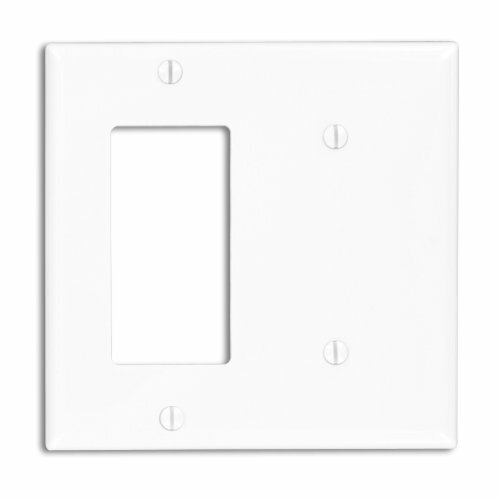 The Leviton 80708-W is a combination wall plate in white. Leviton combination wall plates are available in a wide spectrum of configurations and gangs. You can find them in a broad selection of colors and materials including, stainless steel, brass, aluminum and plastic. This particular model features impact-resistant thermoplastic nylon body. We have wall plates in many colors to help you coordinate with your wall color or wall coverings.